SANZAAR’s suit wearing bigwigs will be meeting in London on Friday, and it could be the most significant meeting in the history of the multinational competition. At the end of the 2016 season SANZAAR finally seemed to realise that their 18 team 4 conference Super Rugby competition was in serious trouble, even fatally flawed. Spectator numbers were dwindling, sponsors and advertisers worried about their exposure, players were abandoning southern hemispherean rugby to play in northern hemisphere competitions, and Super franchise coaches and administrators expressed their dislike for the clumsy structures, extensive travel requirements, and laughable fixture lists. Nobody liked Super Rugby much anymore. Except for the administrators who had bragged about their “product” being the best rugby competition in the world. Oh, and there were one or two media hacks that punted the competition as being good for rugby despite overwhelming evidence to the contrary. Predictably, SANZAAR held a meeting to talk about their competition. They heard the complaints from franchise administrators, coaches, players, spectators, the media, sponsors and advertisers. Predictably, the administrators did nothing. They did not want to hear that their “product” was flawed. So they appointed a management consultancy group, Accenture, to investigate Super Rugby and to come back and tell them what was right or wrong with their competition. Well, the Accenture report has been completed and delivered to the men in suits. They have quietly, some might say secretly, distributed the report amongst themselves. Men in black suits with suspiciously bulging armpits and wrap-around sunglasses have been seen entering various rugby headquarters in the southern hemisphere, handcuffed to slim briefcases rumoured to contain that Accenture report. The secrecy has been absolute. There have been no Trump administration style leaks or whispers, and nobody has tweeted outrageous accusations at anyone, yet. However, there can be no doubt that the hugely expensive report will tell the SANZAAR suits exactly what everyone else has been telling them, for free. The Super Rugby competition is too big, too clumsy, badly structured, and too long. The report will tell them that the competition has lost it’s edge as the breeding ground of truly superior rugby skills and innovative ideas. The report will tell them that the competition is unpopular with players, coaches, franchise administrators, sponsors, broadcasters, and the forgotten voices of rugby, the spectators. The looming meeting in London on Friday has triggered a serious wave of jitters amongst various rugby administrators, supporters, and several dozen rugby payers too. 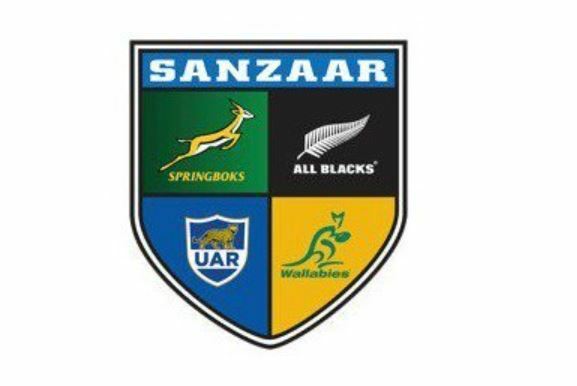 You see, if SANZAAR do want to restore the quality of their rugby product, the most obvious step will be to trim some teams from their competition. They might fiddle with the fixture list, redesign their conference system, or jiggle their bonus point structures, but the reality is that there are far too many mediocre rugby teams and rugby players in the competition. Reduce the number of participating teams, and the focus of Super Rugby can be restored. The best playing the best, to produce the best rugby possible. Over in Australia the media are openly speculating about the future of two of their teams: The Rebels and the Force. Both teams are perennial bottom feeders, both teams were artificially created in regions where rugby union had very little exposure. (Unlike the Reds, who have also had a woeful team in recent seasons, but are drawn from a region with a rich rugby culture.) Both the Rebels and the Force are a constant drain on Australian Rugby Union finances as they are unable to generate sufficient cash to survive on their own, and are kept alive by a flow of funds from head quarters. Both franchises have publically stated that they are going nowhere. (There is some truth in this statement, in rugby terms they are certainly going nowhere, although I am sure their administrators were really suggesting that neither franchise wants to be dumped out of Super Rugby in 2018.) The Australian Rugby Union are equally set on retaining five franchises in Super Rugby, it gives them a bigger slice of the SANZAAR cake, and they need that money to keep the game alive in Australia. Unfortunately, there is a very real truth that the Aussies need to face: They simply do not have the depth of playing talent to sustain five competitive Super Rugby franchises. The pilfering of resources by talent scouts from the northern hemisphere; the competition for talented young sports enthusiasts opting for that strange game called Aussie Rules and a host of other sports; and the fact that their quality playing resources are spread thinly amongst the five franchises, has not been good for Aussie rugby at all. Consider this, after just two weeks of Super Rugby, the Rebels are stone last on the log! Even the Sunwolves are doing better than they are! We could offer an excuse and say that they have played against two of the better sides in Super Rugby in their first two fixtures and that they should improve, but that only emphasises the point that they do not belong in such august company! They have conceded no less than 18 tries and 127 points in just two games. If they continue at this rate, they will have conceded more points by Week 8 than they conceded during the whole of 2016! And, oddly enough, the Force head up the Aussie log this week, with a whole 5 log points. Technically, they should be joint sixth on the log, behind the five teams that have won both their opening fixtures, and equal to the Blues, Sharks, Jaguares, Cheetahs and the Reds, but, thanks to SANZAAR’s weird conference structure they are “third” on the log. They have a positive points difference of +1, which puts them ahead of the Reds with -5, but behind all of the Blues, Sharks, Jaguares, and Cheetahs who have better points differences too. Not that the Australian teams are the only ones who are looking over their shoulders somewhat nervously. The Sunwolves, the Kings, the Jaguares, perhaps even the Cheetahs and the Blues…. Province, has been declared bankrupt, and the SA Rugby Union has taken over responsibility for the Kings’ finances, especially the player salary bill. In a mirror image of the situation in Australia, the decimation of player ranks by northern talent scouts and the spreading of available talent amongst six franchises has not been good for South African rugby as a whole. In much the same scenario as is seen in Australia, rugby is not the number one choice of sport for the majority of talented youngsters, soccer is the king! New Zealand is perhaps better placed than anyone in their ability to sustain five franchises. This country has consistently punched way above their weight in world rugby, with fewer registered rugby players than any of the other big hitters in the game, and less, even, than some of the “minnows” such as the USA. The difference is perhaps in the local culture where rugby is far and away the most popular sport in the country. Rugby is the glue that holds many communities together, and the game is supported by almost every single inhabitant of the Land of The Long White Cloud. Yet, even in New Zealand, the game is in trouble financially. If it were not for the cash generated by Super Rugby, New Zealand may find their rugby resources slowly depleted as more and more players head overseas. Of course, everyone wants to retain as many Super Rugby franchises as possible. Australia wants as big a share of the SANZAAR money as possible to keep Australian rugby afloat, five franchises get more of the moola than four. New Zealand want five too, for an equal share of the money and to give their huge talent base something to strive for. South Africa have a slightly different problem. They want their sixth franchise for purely national political reasons and not simply because of the cash! Five franchises will generate the same amount of cash, and will have the added benefit of not requiring the continual subsidisation of the economically unjustifiable sixth. Let’s take a quick look at the reason given for the increase in the size of Super Rugby at the end of 2015. The introduction of the Jaguares and the Sunwolves was justified on the basis of “taking the game of rugby to the world” – The jury is in on that one. The game of rugby is doing well in Japan, but NOT because of the Sunwolves. Many of their Top League teams have refused to release players to the Sunwolves, and even lower league teams such as those in the Clubs Championships have been iffy about their players joining the Sunwolves. So much for SANZAAR taking rugby to Japan. The Argentine has long had an association with rugby. The game kicked off in that country way back in 1873. It is very popular in the Buenos Aires area, with more than 80 clubs in the region. The Argentine is already recognised as a Tier One country by World Rugby. The establishment of the Jaguares team was somewhat artificial as they are not one of the recognised Argentinean provinces or sub-unions. They exist only for Super Rugby. The bulk of their players have careers outside the Argentine, playing their rugby in England, France, Italy, the USA and elsewhere. The Jaguares brought professional rugby to the Argentine, the jury is still out on whether this is a successful idea or not. But, again, SANZAAR did not “take rugby” to the Argentine, it was already thriving, though a distant second behind soccer in popularity. Have no doubt that each of the 18 franchises currently involved in Super Rugby will do their level best to cling to Super Rugby status. There are a host of vested interests, especially amongst the employees. CEO and Marketing Director, Humans Resource Director, and all the other blazers who put their hand out for a salary cheque at the end of each month. The coaches and support staff, the drivers and the kit-carriers, the laundry and the chef, they all draw a salary because of Super Rugby. The development squads and their staff, the “academies” and the talent scouts. Everyone has a vested interest in the survival of their franchise. And then there are the players! A squad of 45 plus players at each of the franchises earn a living playing the game they love. Some, especially in the Australian franchises, earn very large amounts of money, and you can have no doubt that those playing for the franchises that might be at risk of being dropped from Super Rugby will fight the hardest to retain their status. Yet, it is these very vested interests that have resulted in Super Rugby being something less than “Super” in 2016 and 2017. The truth is that Super Rugby lost its gloss the moment it was expanded from a Super 12 to a Super 14 competition! Now it is a clumsy Super 18 competition, with far too many mediocre teams and equally mediocre players earning a living at a level where they do not belong. Next Friday the suits will meet and discuss the future of what used to be the world’s premier rugby competition. If they have the courage to put rugby ahead of national self-interest, perhaps they will make some wise decisions. If they want Super Rugby to be truly Super again, they have to start with the most obvious of solutions. Trim the number of teams down, drastically! I can hear the agonised groans of those who will lose their favoured team. I can hear the sobs of the players who might be left without a job. I can hear the sighs of the blazers who will have to do an honest day’s work again. And I can hear the fury of the politicians. Yet, there is a solution that ensures the return to the principle of strength versus strength, while also ensuring the survival of the “lesser” franchises. Spilt Super Rugby into a two-tier competition. Super Rugby, and a second league, Super Development Rugby, call it Super “D” if you like. Super Rugby must be restricted to 12 teams. An automatic qualifier for 3 teams each from South Africa, Australia, and New Zealand. The Jaguares from Argentina are also an automatic qualifier. And then there are two more slots up for grabs. They will be filled by the top two teams from the previous season’s Super D competition. The 12 teams play each other twice, on a home and away basis. Each team thus plays 22 games in a season. The winner is the team that tops the log at the end of the season, without the need for play-offs, semi-finals and a final. Perhaps the suits can have a secondary top-level competition where the top four on the log play a semi-final and a final for a different trophy? That could be a money spinner for all involved! The Super D is run on exactly the same lines as the Super Rugby competition. This competition can be expanded to also accommodate 12 teams. Give South Africa, Australia, New Zealand each two or even three more teams depending upon their resources. Bring in the Sunwolves. Bring in one or two teams from the Pacific Islands. The Super D winner and the runners-up in any one year qualify for a spot in next year’s Super 12, with the bottom two of the Super 12 automatically being relegated to the Super D.
Everyone is satisfied. Super Rugby will be able to reclaim its position as the premier rugby event in World Rugby. It will again foster innovation and competitive rugby for an entire season. And the minnows will also have something to play for!